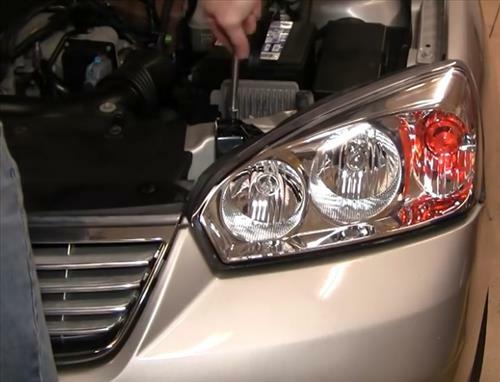 Replacing the Headlight Bulb on a 2004-2008 Chevy Malibu is an easy task that falls into the DIY category. Of course always call a professional if in doubt. Below are the steps with screenshots to replace it along with a video at the bottom of the page if needed for a visual walk through. 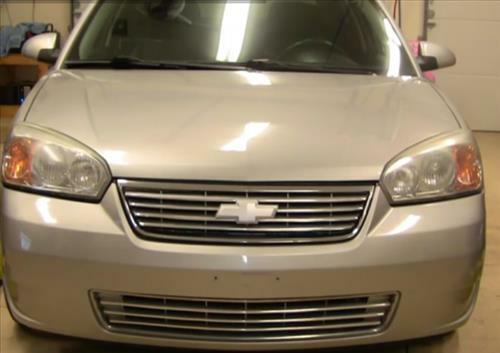 Changing headlights and front turn signals are simple and easy with the Chevy Malibu. This process requires 10 millimeter wrench. 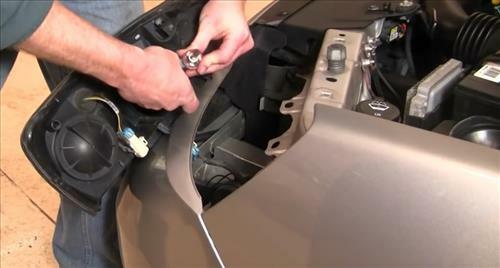 1… There is two ten millimeter bolts use a ten millimeter wrench or socket and remove the bolts. 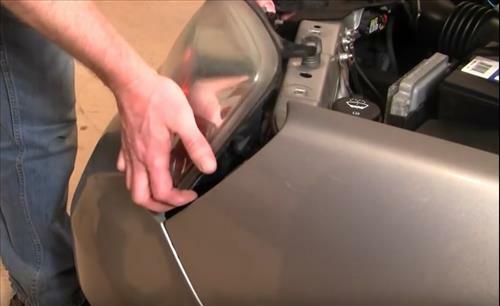 3… There is a connector that needs to be disconnected. 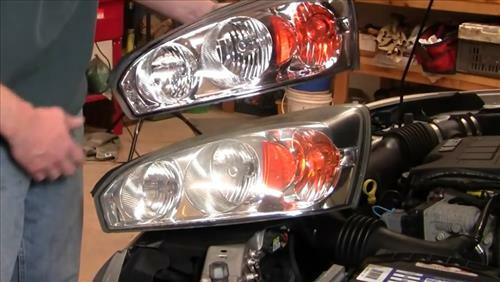 4.. To replace the Bulbs twist the covers off and the Bulbs are inside, you can twist and pull the bulb out. 5…The same thing for the parking side marker just pulls out of the socket. 6… You can see how much more clear they are.